Intex has launched its two new budget smartphones in India, the Aqua Pride and Aqua Q7N smartphones which are now officially listed on company website. 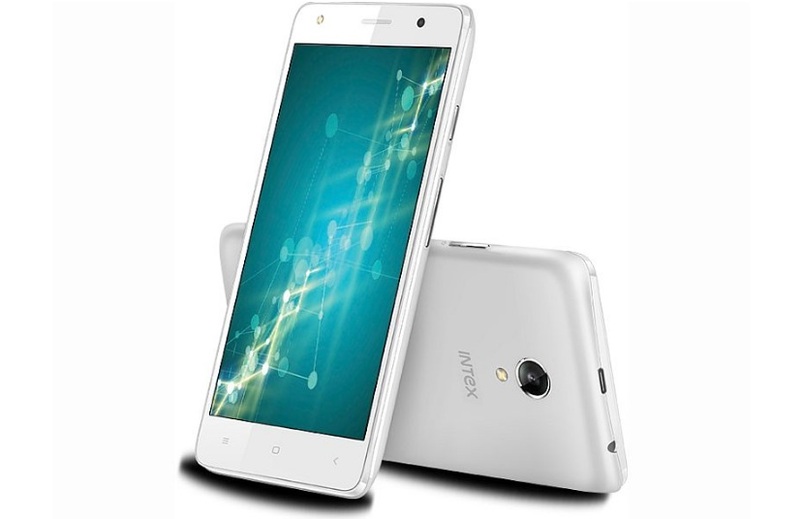 On the website the Intex Aqua Pride is listed with a price tag of Rs. 4,999 while the Intex Aqua Q7N is listed with a price tag of Rs. 4,190. We didn’t find any information regarding the launch of these two smartphone but it seems that Intex will launch both the budget smartphones in Indian very soon. The Intex Aqua Pride features a 5-inch FWVGA (480×854 pixels) display and sports a pixel density of 196ppi. With dual (GSM) sim support the Aqua Pride runs on Android 6.0 Marshmallow out of the box. It is powered by a 1.3GHz quad-core MediaTek (MT6580) processor paired with 1GB of RAM. It comes with 8GB of inbuilt storage which can also be expanded later via microSD card (up to 32GB). The Intex Aqua Pride features a 5-megapixel rear camera with LED flash and also packs a 2-megapixel front camera. Connectivity options include GPRS/ EDGE, 3G, A-GPS, Bluetooth, Wi-Fi 802.11b/g/n, and Micro-USB. The smartphone will support 3G on one SIM and GPRS/ EDGE on second. The handset measures 141.5×72.8×9.6mm and weighs 150 grams. It will be available in Champagne, Grey, and White colours. The handset comes with a 2800mAh battery with up to 6 hours of talk time and up to 450 hours of standby time. The Intex Aqua Q7N features a 4.5-inch display with a screen resolution of 480×854 pixels and a pixel density of 218ppi. The Aqua Q7N also comes with dual sim support running on Android 5.1 Lollipop out of the box. It is powered by a 1GHz quad-core Spreadtrum (SC7731C) processor. It comes with 512MB of RAM and 8GB of built-in storage. The Aqua Q7N supports expandable storage via microSD card, maximum expandable storage capacity is unknown. The Intex Aqua Q7N features a 5-megapixel rear camera and a 0.3-megapixel front camera. The Aqua Q7N is backed by a 2000mAh battery. Connectivity options include Bluetooth, GPRS/ EDGE, GPS/ A-GPS, 3G, Wi-Fi, and Micro-USB. It measures 135x66x9.5mm and will be available in Champagne, Grey, and White colours.